The Episode starts with Tatya asking Moropant why he is tensed and says you shall be proud to have a daughter like her. Moropant says Manu’s revolt made me tensed. Tatya says she has expressed the anger of everyone. Moropant says they might have become her enemies now. He says he raised her becoming her mother. He asks him to show her kundali. Moropant says I will show you. Nana Saheb shows arrow shooting to Manu, but couldn’t hit the arrow rightly. Manu says concentration is very important and shoots at the pot. Tatya checks her kundali and gets happy seeing Raj yog for her. He matches Gangadhar’s kundali with Manu and thinks she can make his life fine and will become his strength. He gets happy as the kundalis matches and prays to God to hear his prayers. Melson sees some villagers from Jhansi coming to Bhitoor for work and stay. Melson and other britishers stop and beat them badly. Manu comes there and holds the hunter of a britisher soldier. He asks how dare you? Manu asks how dare you? She helps the old man get up and asks who are you to stop us, this is our desh. She takes the hunter and says aye firangi. She beats the soldier with the hunter and asks him to feel the pain of others when he was beating him. Melson asks her to stop and comes to her. He asks how dare you to beat our soldier and says it is our terrority. Manu says why did he beat them then? Melson asks her not to interfere in others matter. Manu says this is our own people and says outsider is you and your people, who has no right to stay here. Melson takes out the gun and says I will not leave you. Manu looks at him. Just then Peshwa comes and moves the gun off her head. The gun gets shot in the sky. Peshwa asks how dare you to shoot at my manu. Melson apologizes and says she has beaten our soldier. Manu says what do you think that we will become quiet if you beat them. She tells peshwa that the villagers came to ask for help, but they had beaten them. Peshwa asks Melson not to interfere and asks the villagers to tell what happened. Villagers tell everything that britishers snatched their farms and burnt their grains to grow cocaine on it. They tell that when they went to Gangadhar then they come to know that Gangadhar gave their lands to East india company. Peshwa says he will help them. Melson says Company can’t let refugee stay here and can’t bear their burden. Peshwa says he will use his pension for their welfare and welcomes them. Melson and other britisher get angry. All refugees go inside praising Peshwa and Manu. Peshwa helps the refugees with the necessary things. Moropant says why they were made homeless. Tatya (Manu’s guru) tells that the real guilty man is Maharaj Gangadhar Rao who is helping the british. Manu helps the refugees. A girl is handling her younger brother and asks her to give food and says they are hungry. Her mum says she will give. Manu sees empty vessel and asks Vimla and Gayatri to give rice. She gives her rice and tells Vimla and Gayatri that Gangadhar is so cruel. Moropant’s Bharat gang men plan to kill Gangadhar. Manu hears a woman telling that Gangadhar is really bad. Manu says if she meets him ever, then she will tell on his face that when there is no praja then how you are raja. Tatya dikshit comes to Peshwa’s court and tells that Moropant might not agree so I brought this marriage proposal to you. Peshwa asks whose alliance? Tatya Dikshit says Maharaj Gangadhar’s marriage with your manu. Moropant asks how dare you think that I will let my daughter marry a british Servant Gangadhar. Tatya tells that nobody knows that Gangadhar is the victim of British. Moropant says why Manu will marry such a man. Tatya tells that she is like devi and he is sure that Maharaj’s life will have a surya udhay and this relation will create history. Peshwa says we need time to think about this. Tatya thinks Jhansi’s future depends on them now. Manu asks the woman to have water. Water says she is keeping fast and asks where to do puja here as there is no idol. Manu says wherever you do puja, Goddess will appear there. Everyone say jai.. Peshwa tells Moropant that he thinks Tatya is right. Moropant says you know that she is having clear hearted and she don’t take time to speak out what she feelings. Peshwa says Manu can take any big decision and asks him to think what Manu will do if she becomes Jhansi’s Maharani. Moropant gets thinking and says his selfish behavior can ruin Manu’s life. Peshwa asks him to see the marriage for the nation. Moropant says I didn’t understand. Peshwa says when Manu sits on the singhasan then her words will bring a storm in British’s rule. Moropant recalls asking Bheema and Shiva to attack Gangadhar and tells the same to Peshwa. Peshwa is shocked. Precap: Manu tells that she don’t want to marry as her aim is something else. Bheema and Shiva come to kill Gangadhar. Tatya (manu’s guru) is coming to stop them. Manu helps the villagers do puja. 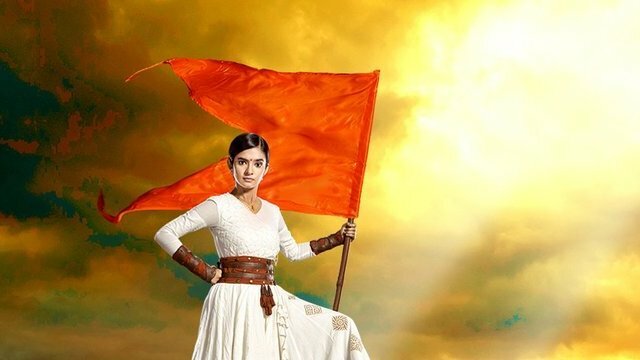 The post Jhansi Ki Rani 19th February 2019 Written Episode Update: Tatya Dikshit proposes Gangadhar’s alliance for Manu appeared first on Telly Updates.